FaultLine Theater's "Trailer Park Gods" featured Paul Rodrigues as Hades. Directed by Emma Nichols and written by Panayiota Kuvetakis, "Trailer Park Gods" was a Finalist for Outstanding Performance by a Male Actor in a Principal Role for Paul Rodrigues. It also placed on the finalist list for Outstanding Direction in a Play, Production of a Play, Performance by a Male Actor in a Featured Role, World Premier Play, Performance by the Ensemble of a Play, Scenic Design, Costume Design, Lighting Design, and Sound Design. FaultLine Theater's "The Ice Cream Sandwich Incident" starred Paul Rodrigues as Tugg. Theater Bay Area named FaultLine's ICSI as a 2016 Recommended Production and Editor's Pick. "Written by Barry Eitel (head writer of Boxcar Theater’s 2014 production of Speakeasy) and directed by James Nelson (winner of the SFBATCC Best Direction award), The Ice Cream Sandwich Incident is FaultLine’s most ambitious production to date." New Conservatory Theatre Center's "For the Love of Comrades" featured Paul Rodrigues as Rhys. Rodrigues just nabbed a 2016 nomination for Outstanding Male Actor in a Featured Role in a Play! Tune in for the ceremony on December 5, 2016. 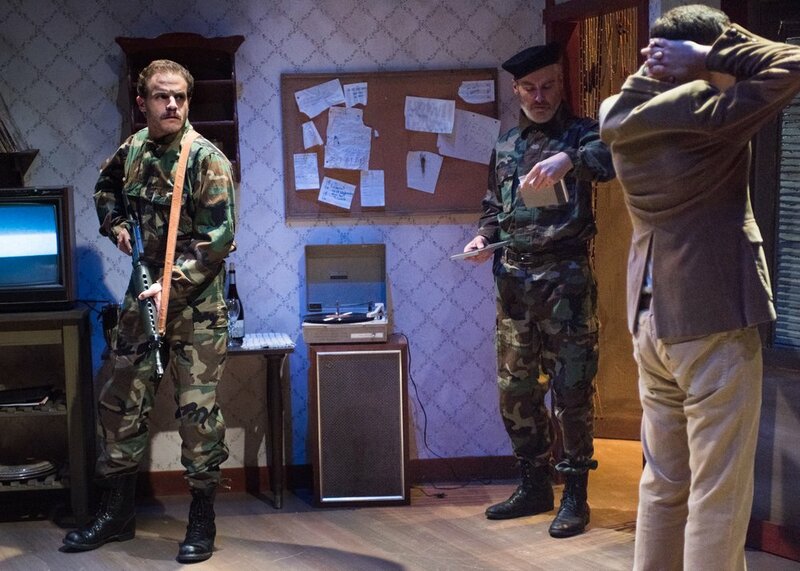 Written by Michael Kerrigan and directed by Jeffrey Hoffman, "For the Love of Comrades" grabbed the attention of TBA critics and made the 2015 Recommended Productions list, bringing Rodrigues' TBA nods to three in 2015 alone. FaultLine Theater's "Maggie's Riff" starred Paul Rodrigues as Jack Kerouac. Rodrigues returned to FaultLine for his first 2016 with them to star in Jon Lipsky's "Maggie's Riff." Directed by Cole Ferraiuolo, "Maggie's Riff" made Theater Bay Area's 2016 Recommended Productions list and brought together a large list of brilliantly creative minds to breathe life into Lipsky's examination of Kerouac's life through his written memories.